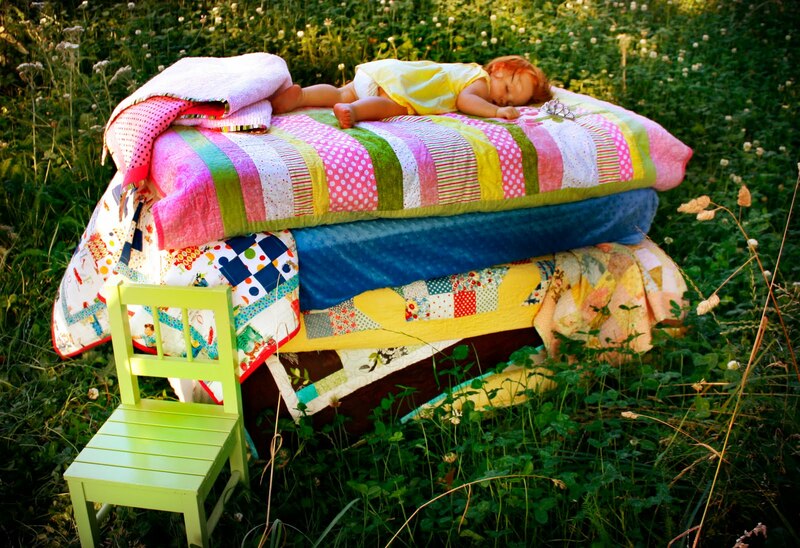 Most of us know the story of the Princess and the Pea, I thought it would be fun to have Jenny's one year old photo as the Princess. Well, I won't ruin the photo by telling you all the problems we had trying to get 5 baby mattresses down a hill, into a wooded area with lots of bugs and two tired kids, let's just say the Princess, had all she could take and so she went to sleep. At least someone in our family is able to sleep. My heart is so grateful to have yet another little granddaughter...another princess in our family. I used to hate to hear someone call their spoiled little girl a princess. A princess in my opinion wouldn't be selfish, mean or spoiled. She would stand up tall because she knew who she was and understood the potential for good that she had. Yes, that's a true princess and that is what we need to teach these beautiful little girls, who they really are... Daughters of God! "Princesses wear crowns to remind them that they are smart and beautiful because some days it's easy to forget." "Our daughters are the most precious of our treasures, the dearest possessions of our homes and the objects of our most watchful love."